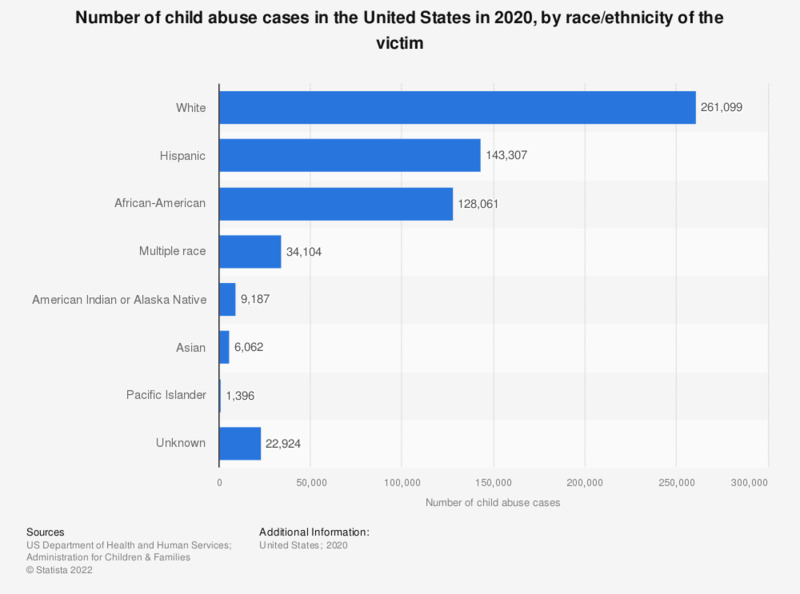 This statistic shows the number of victims of child abuse in the U.S. in 2017, by race/ethnicity. In 2017, about 146,731 children of Hispanic origin were reported to be abused in the United States. District of Columbia and Tennessee did not provide data for 2017.